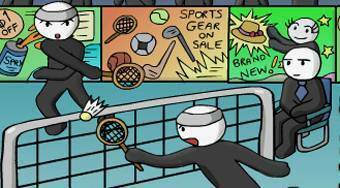 Do you like Stick Figure Badminton? Share it with your friends. "Stick Figure Badminton" - play badminton and gain seven points sooner than your opponent.